This novel is part of a teen mystery series facing Casey Templeton, a young man with a good head on his shoulders. Casey's dad was with the RCMP, and as the youngest of three brothers, Casey is an independent kid. After his dad retired, they moved to Richford, a small town in Alberta, and his dad became mayor of the town soon after. Casey and his dad, now that they are spending more time together have been forging a deeper relationship. One example of this is how Casey thinks through problems and explains his thought process to others. As the book begins, Casey's class is on an overnight field to Drumheller to visit the Tyrrell museum and experience archeological work. Casey and his best friend Mike, find parts of a tooth, but Casey ends up sunburnt from being a bit too interested to take the precautions he should have. Later that night at the motel, Casey overhears a conversation, but is forced to wait some time to report it. As Casey is offered the opportunity to take a summer job at the Tyrrell to follow up, he also becomes better friends with Mandy, a girl he already knew through their parents' friendship. The pair go on a couple adventures together and end up in danger. I liked Casey, and how he used the tools his father taught him to keep his head in the various situations he encounters. I also liked how relationships grew through the novel. 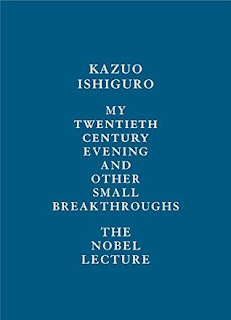 This lecture looks back at his life, and his moments of change. He discusses the start of his writing career, a writing course he took over the winter of 1979-80, and how it was the first time he articulated his images of his homeland to others. Putting them down on paper was necessary to him at the time to prevent himself losing them. He discusses his presence in England and the influence that move had on his life. He talks about reading Proust and suddenly seeing a different way of moving a story forward, and later, how a Tom Waits song provided the insight into what was missing in the novel he was writing at the time. There are other examples here of writing breakthroughs for him. He looks at how small these private movements sometimes seem, even though they are not, and how we have to be open to recognizing them. He goes on to articulate what he would like see in the literature of the future, and of the important role he hopes it will play in the world. A small volume, but full of insight and hope. This historic novel begins with a woman, Angela, in 1969 who has just visited East Berlin. She has visited an aunt she hasn't seen in years, since before the wall went up, and brought some things back with her. One of them is a picture, taken by her father who died in the war. The picture is of a young woman and a name on the back says Polina. In a later section we see how the separation came to be between Angela and her East German family members. We see the young Polina in Poland, with her family and her good friend Julian, and we see the war begin for them, and the family get separated. But the bulk of this story is told over the winter of 1941-42 in Denmark. The first section her follows Frederik, a farmhand in Jutland. We see how he lives under the occupation, and how he and his two young adult children must work very hard and long to survive. We see the risks they take, and we see the desperation in the actions Frederik takes. The next story during this time is that of Hermann, Angela's father, a wartime photographer for the Germans. And we see his connection to Polina and how he came to have the things that Angela has been given. Other sections from this time cover the experiences of other characters, Frederik's daughter Amalia, his son Oskar, other members of the rural community they live in, and the family that Frederik is estranged from. We see how Polina is connected to Frederik. 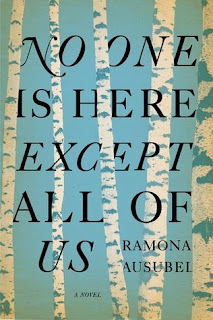 This is a story of people connected through small accidents of fate that through them together, of what people will do to survive and keep their families alive during times of war. This suspense novel is the first in a series featuring private detective Roxane Weary. 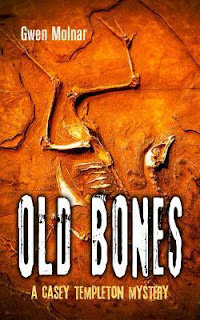 Roxane is in bad shape as the book begins, still not really recovered from her father's death. Her dad was a police officer who was killed on duty. He was a gruff man, who drank too much and criticized a lot. Roxane doesn't really have fond memories of him, but his death has hit her hard, and she's been drinking too much too often. 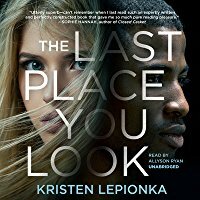 When one of her brothers refers someone to her to find a person who's been missing for more than a decade, she takes it only because she really needs the money. But as she begins to research the case of the missing Sarah Cook, she finds other women in the area who've gone missing. The woman who hired her has a tight deadline, as her brother, Brad Stockton, is on death row for killing Sarah's parents and his date of death has been set for just a couple months away. Brad is black, and Sarah was white, so there is a possible racial element to this case as well. The police in the suburban community near Columbus, Ohio, where Sarah and her parents lived actively dissuade Roxane from looking further into these disappearances, which really pisses her off. I loved the character Roxane, as she's really interesting. She's smart, with great instincts for the work she does, but definitely has some problems on the personal side. She's made some questionable choices of partners (she's bisexual) and she resents her oldest brother as a goody-goody. She also thinks her mother put up with too much from her father. But she has definitely feelings for all her family members. She also cares about the people she gets close to as a result of this case, as well as the victims. She puts herself in danger to try to help them, and she definitely has her share of bad luck. I look forward to reading more books featuring her. This short novel set in Tacoma, Washington, has Harry Mills, an angel come to earth for the first time to help someone through some issues and bring two people together. Even though he has studied for this assignment, he is not truly prepared for some of the feelings that he will be having as he takes a human role. He also doesn't understand all the cultural references that come up in the interactions he has with people. He is mentored by another angel Celeste, a female one with much more experience. She is kind, helpful, and understanding when he makes mistakes. She encourages him to think about what he is feeling and come up with his own solutions. She also uses questions to lead him in the right direction when he is feeling out of his element, and guides him back to his assignment when he finds himself distracted by other humans with issues. This is also about a young woman, Addie Folsom, who has returned home after leaving in rebellion a few years earlier. She is ready to start again, and has enrolled at the local college. She moves back in with her mom, her father having died recently. She had planned on spending Christmas with her mother, but her mother had already made plans with a friend, another widow who lives next door. When she was young, Addie had a crush on Erich, her brother's best friend, and the son of the widow next door, but he'd only teased her and belittled her. She isn't inclined to be friendly with him now. But when Erich falls and is hurt and with only his mother to look after him, it jeopardises the vacation plans, so Addie steps in and agrees to help. 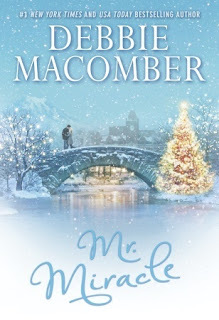 This light holiday romance, with a touch of magic, is an easy read that will put you in a good mood. This memoir covers a short period in the the author's life, a couple of weeks one summer where he walked from his home in Vermont (very near one of Robert Frost's homes) to a previous home in the New York state Adirondacks. Along the way, he walks some of the time alone, and some of the time with friends from the area. 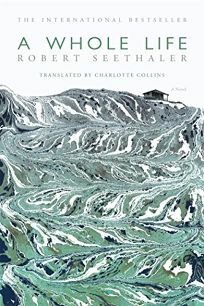 He writes about the landscape he is moving through, the weather, the environmental issues, the social issues, the history of these places, and his own connections, memories, and impressions of these places. There is a map at the front, showing his path for this trip. 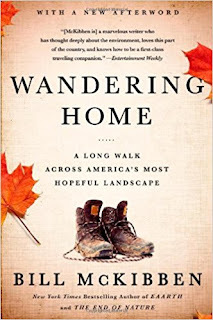 The people he visits and travels with include other authors, other environmentalists, historians, farmers, gardeners, vintners, beekeepers, river rafters, and historians. All the them have connections to the last themselves, and are in touch with nature and its wonder. A book to savour, and one that makes you both hopeful and eager to go out and explore nature yourself. I had read the author's earlier book, The Couple Next Door, and so picked up this one from the New Book shelf at work. Once again we have unreliable narrators. As the book opens Tom Krupp gets home one evening, a bit later than normal with unknown issues on his mind. His front door is unlocked, and dinner preparations are underway, but there is no sign of his wife Karen. He is at first annoyed, and then increasingly worried as he finds first her cellphone and then her purse still in the house. He calls the friends he knows of, and only when he doesn't know what else to do, the police. Meanwhile, the reader is aware of a woman driving wildly through an unfamiliar part of town, panicking to get away from someone or something, before crashing into a tree. And so, a police officer arrives at Tom's house to let him know his wife's car was in an accident and to have him come see if the driver was her. Karen has no memory of the accident or anything else that evening. She doesn't remember why she left the house, or what happened afterward. The doctor says her memory will likely return, but it may not. The police are suspicious of her amnesia, especially after they find an unidentified dead man shot near where her car came from. Tom begins to wonder a bit about Karen as well, realizing he knows little of her life before he met her. He feels uneasy. He knows that he's hidden things about his life from her, and so is aware she may have done the same. Their across the street neighbours, Brigid and Tom, have been friendly. Brigid has made a special effort to be friends with Karen. But Tom and Brigid have a history that neither of their spouses is aware of. Brigid sits at home crocheting most of the time, watching their house from her front window. We wonder what has she really seen? This book has more questions like this, as the plot progresses. We gradually learn little bits of information, but even those may be unreliable. Bob is barely a character, really just a prop for Brigid. To me, the characters in this book seemed either creepily evil or stupidly gullible. I didn't like any of them really. But the plot is a page-turner. This novel closely follows the author's real life experiences. 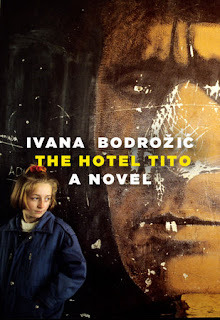 It follows an unnamed young girl for several years, beginning in 1991 when she is 9 years old and is sent from her home town of Vukovar to the seaside with her older brother. Their mother later joins them there. She doesn't really understand what's going on at first, but gradually realizes that her father has gone missing defending the town. 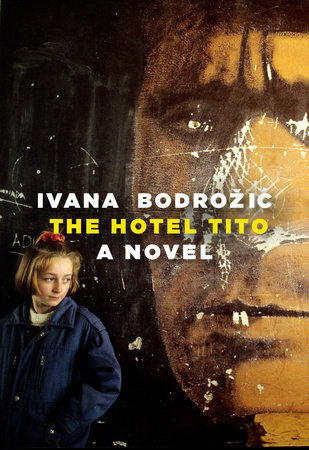 As the two children and their mother go to Zagreb to wait for word of her father, they are housed in a former political school along with many other war refugees. Some have fathers who break through and arrive in Zagreb. Some learn that their fathers have died. But many are in the limbo that faces her family. 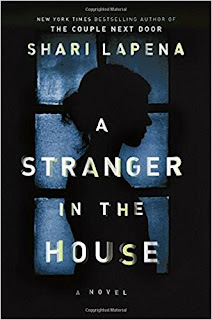 Her mother and her brother fight for housing, for recognition, and the girl gets older, becomes a bit of a rebel, engaging in riskier behaviour along with other kids her age. 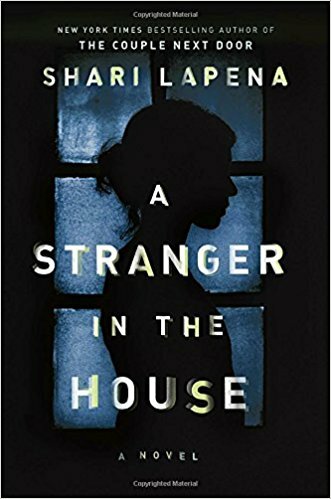 The book takes us to her high school years, where she is forced to live in a boarding house as their is no high school near where the political school is located. This is about how the war affected her, but we see the effect on the society around her as well. The feelings of those Croatians not directly affected by the events of Vukovar. Interestingly, I visited Vukovar myself in 2010, after the town had begun to be resettled. It was still showing the signs of the war at that time. The picture about is just one scene showing nature taking over the damaged buildings of the town. There were many signs of death and of life coming back. This short novel the man Andreas Egger from childhood through his life. Andreas came to the village in the Austrian alps in 1902 as a small boy. His mother was dying and sent him to live with his uncle Hubert Kranzstocker, who only took him in reluctantly. One of the regular beatings from his uncle resulted in a badly broken leg that didn't set properly. He was a quiet boy, who worked hard. When he turned eighteen and finally rebelled from his uncle's punishments, he left the farm and began to pick up work from others around the village. He grew up to be a strong man, mostly silent, but honest and dependable. The story of his life takes us through happiness and sorrow, war and peace, love and loss. The mountains he lives among play a big role in his life. This is a story of a man who accepted what life brought him, but took opportunities as they came. He's a man that one can empathize with. An everyman of a sort. 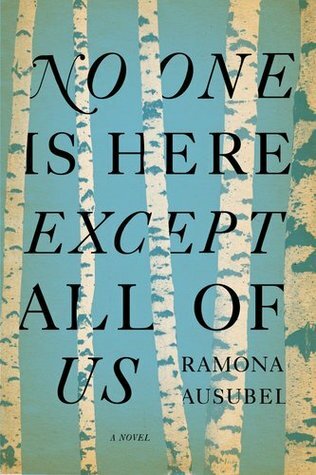 This novel takes us into the life of Eve, a forty-eight year old woman. Eve is married to Larry, with a grown son, Allen. Some time ago, Larry moved into the spare room, soon after being enlightened about his life. The marriage has never been a close one. Eve obstensibly has a career as a garden designer, but she really treats it more as a hobby. On most weekends she travels around secondhand shops buying items for her friend Deborah's antique shop. As the book begins, she has spied a musical instrument in a case in a shop in the north end of New York City. Despite the bad condition of the instrument, she cannot help herself. Later, when she goes downtown to the library to research its origins, she encounters Robert the college roommate of her brother Bill, and his son Micajah, a musician. She is surprised when Micajah flirts with her, and even more surprised when he follows up with an email asking to meet. The next meeting ignites something in Eve that she has never felt before, not even in the early days of her marriage, and she finds herself struggling not to continue the relationship. When Larry makes an unexpected choice, Eve finds herself surprised and must start to figure out what she really wants. Eve has always been scared of taking risks, but now she finds herself freed to try new things. This is a novel of passion, and novel of self-renewal. 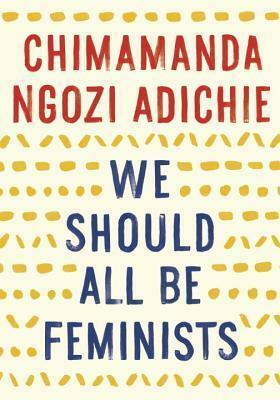 This short book came out of a TED talk Adichie gave. Adichie uses her own experiences both in Nigeria and elsewhere to show how the way men and women are treated is still not fair for women. She gives examples from her life and from the experiences of others and shows that the attitudes stem from the way we are taught beginning as young children. For things to change, we must not only bring up girls differently, but also boys. We need to reexamine how the things we do as a matter of habit keep these differences alive. She shows how just being aware can help move us further down the road. She gives examples of how men can question other men's actions to change things, to bring that awareness to others. This is a book that everyone should read, and I also recommend her TED talk. This enchanting novel tells the story of young Fin Hadley and his older half-sister Lady. As the book begins Fin is eleven years old and has just lost his mother to cancer. He has already lost his father and both his maternal grandparents. Now Lady comes into his life as his guardian and companion. Fin had met Lady when he was five, after their father had taken Fin and his mother Lydia on a trip to Europe to hunt down the elusive Lady. They had finally found her on Capri, and Fin was enchanted by her at the time, and on the boat trip back to the U.S.
Now Fin and his collie dog Gus go to New York City with Lady to live. At first they live in her late mother's apartment which is well-managed by the black housekeeper Mabel. Mabel is the grounding influence in the home, especially when they move to a newly renovated brownstone in Greenwich Village. 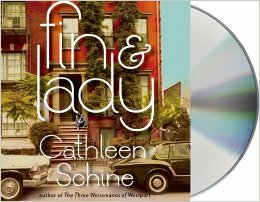 Fin discovers that Lady is well-meaning, but not necessarily dependable in an everyday way. She is a bit of a misfit and a rebel, even for the early '60s when this story begins. Fin soon discovers that he has another guardian, a financial one, represented by the young Tyler, a lawyer for Fin and Lady's father's law firm. He manages Fin's inheritance including the farm and cows that were his grandparents'. Tyler also has a history with Lady that Fin doesn't learn of right away. What he does learn is that Lady has the ability to enchant, and not just Fin. Lady seems to draw people to her, and she has many suitors. In a moment of togetherness, Lady assigns Fin the job of finding her a husband among these many, and set a deadline a year away. We soon see there are three men who seem closer to success in terms of suitors, and Lady seems to rotate from one to another as time goes on. They are Tyler, the long-term suitor; Jack, the younger man, a sportsman who gets off to a bad start with Fin; and Biffy, a Hungarian emigrant and World War II survivor. Biffy is the favourite of Fin, and we even get to meet his eccentric mother, who is a darling. As the years go by, and the deadline for Fin's task gets moved further out, he finds a life in the city. He befriends an older girl Phoebe, who lives across the street; attends a non-traditional school; explores museums, galleries, parks, and becomes a baseball fan of the Mets. During these years, Lady lives a life in limbo, not really advancing, just treading water. It is a pleasant life, but Fin can see that Lady isn't truly happy. When, in a moment he regrets, Fin tells her what he truly thinks, Lady sets off on a new adventure. She ends up in Capri again, and the story changes. Lady changes, and Fin sees how. When even more change begins to come into their lives, Fin knows that he needs help, and his true friends come through. This is a story of two siblings, who become friends. A fairy-tale type story with an ending both unexpected and inevitable. I loved it. I loved this book just as much as his previous The Power of Habit. Here, Duhigg looks at productivity. 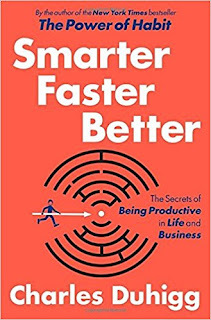 As Duhigg describes in his introduction, this book began with him asking a prolific author he admired, Atul Gawande, about his productivity. When he learned that Atul was busy with his family, Duhigg realized that he hadn't taken time off in months, and that there was a lot he could learn about productivity. Thus came the germ of the idea for this book. As usual, Duhigg interviewed people in many professions and successful project teams. He was looking for concepts that repeated across these diverse groups. He found eight ideas and a powerful principle that connected them. That principle is one of making choices in certain ways. He shows how many of us have spent too much time looking at the tools of productivity, gadgets and apps and systems, rather than drawing lessons from these tools. The chapters here examine each of those eight ideas in succession, starting with motivation. Duhigg looked a medical cases of people who had lost their motivation, at behavioural studies looking at the role of having choice, and at the way our society has changed from one where the majority of people reported to a supervisor to one where more people have the ability to make their own choices about setting goals, prioritizing activities, and choosing projects. This led him to look at the skill of self-motivation, something the military refers to as a bias to action. The second chapter looks at teams, from study teams at universities to more goal oriented school teams such as case competition teams and work teams at organizations like Google. One study showed the importance of group norms in a team's success. Another found a correlation between psychological safety in a team and the team's success. Productivity is about how teams work rather than who is one them. The third chapter looks at focus. Duhigg looks at instances where failure to pay attention, to remain focused while still being aware of the larger situation, caused larger failures, including fatal ones. He shows how reliance on technology, such as automated functions, GPS navigation, and . He points out the dangers of cognitive tunneling, where one becomes overly focused on one thing, even as other things are going on around them. Another study looked at why some people stay calm and focused in a tense situation and others don't. Another looked at the role of mental models, and the way some people tell stories to themselves about the way the world around us works. Both these things help when something is out of place or doesn't look right. The dangers of information overload can cause confusion and irrational actions. Too much information coming at once can make one unsure what to focus on. The fourth chapter looks at goal setting. In one example Duhigg looks at the need for cognitive closure, and how a high need for closure can create negative situations. It creates a need to be decisive and act in a confident manner, and can lead to premature decision-making. He looks at the rise in the use of SMART goals in the workplace. The use of this type of goal setting is useful, but if those setting goals get too focused on the tool and lose sight of whether the goal described was meaningful, meeting goals isn't productive. He looks at stretch goals and how they can lead to new ways of thinking about problems and processes. Combining SMART goals and stretch goals can take the positives of both. The fifth chapter looks at managing others. Duhigg looks at a number of factors: respect, trust, listening, and acknowledging expertise. One study looked at corporate culture in companies. They found five types of corporate culture: star model; engineering model, bureaucratic model, autocratic model, and commitment model. They found commitment model firms were the most successful overall. This was due to the sense of trust that developed. Distribution of authority means that more people feel they can make a difference, and thus they care more. Empowerment leads to commitment. The sixth chapter looks at decision making, from analyzing the decisions of a tournament winning poker player to looking at a study that aimed to make everyday people better at forecasting the future. Duhigg looks at how experience makes us better at forecasting, and how varied experiences increase our success. He describes how experiencing and knowing about failure increases our success as well. The seventh chapter looks at innovation, from the team creating the Disney movie Frozen to the making of West Side Story. Duhigg looks at a study of the tactic of taking proven ideas from other settings and combining them in new ways. It's about making the creative process welcome in your environment. The last of the eight ideas is that of absorbing data. In our world today, there is a plethora of information, but to turn that information into useful knowledge is the key. Because of the vast amounts of data available to us now, it is easy to be overwhelmed by the data and not take it and use it to our advantage. Duhigg looks at information blindness, a study of debt collection teams' success rates, a school that started thinking about the data they collected and putting it together in different ways, and the teaching of a engineering decision process to struggling students. He also looked at a study showing the importance of frames as context, and thus the importance of being able to reframe a question to look at it differently. I loved the use of real life situations to show these ideas and how they are important for success. I also loved the appendix provided that showed how to use these ideas in my own life to increase my productivity. A great read. This humorous modern western is a hoot to read. I pulled out this one when I realized that I hadn't read a single western last year. Instead of wandering gunslingers we have wandering musicians, not that they can't handle a gun when it becomes necessary. The two men Slim and Howdy meet by chance at a used car lot in eastern Texas. They don't have much money, but they have imagination and the ability to turn life experiences into songs. Howdy is heading away from Louisiana with his well-used truck, a saddle in the back and his guitar in the front. Slim is driving an ailing car and needs enough money to get to his nearby destination. The used car lot owner, Red is trying to bargain them against each other, so they decide to team up. They sell Slim's car, decide to share the ownership of the truck and split the money from the car sale. On to Slim's destination, which is the home of the man who has stolen his guitar. Howdy's quick actions come in handy, and the retrieval is successful, but they've created an enemy and now have a couple of followers. As their tale leads them down to Fort Worth, and then on to Del Rio, they find themselves in dicey situations from crooked card sharks to jealous ex-boyfriends. The characters are fun, the songwriting even more fun, and the adventures never stop. Written by the real-life music duo Brooks and Dunn, and a helpful novelist, this book is a great read. 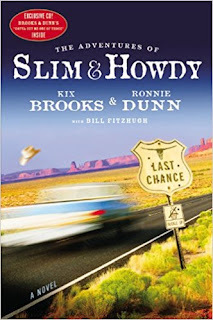 I loved it and would love to follow Slim and Howdy on their future adventures. 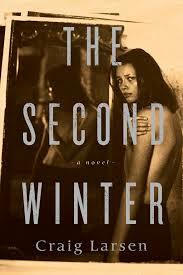 This novel feels so different from to me from the typical first person narratives. The speaker, Lena is a preteen girl in Zalischik, a small Jewish village in northern Romania. The year is 1939. The prologue sets the beginning scene for us. The villagers know of the impending war threatening them, of the pogroms, the hatred, but feel apart from it. The story begins on a Friday, late in the day. A storm has begun. At the evening service, the healer shows the newspaper from a few weeks earlier declaring war and calling for the extermination of Jews. The prayers begin and then a small silver airplane passes over once, then twice. The villagers clutch each other in worry, as an explosion goes off in the nearby mountains. The prayers continue, and the villagers wait. In the morning they go to the river, and find many fish in the raised waters, and then as the waters recede other objects: teapots, part of a piano, clothing, bowls, a doll, and a woman. And the woman is alive. The villagers take her in, feed her and warm her and question her. What happened they ask, and in her stilted statements find the terrorizing actions of soldiers, the escape of the river. She is now their stranger. Lena speaks of this moment as a hinge, where all the past has led to this moment, a hinge between past and future. The past is described quickly, their village the haven from the last pogrom for this small batch of people. They talk and talk about what to do. Lena and the stranger declare the need to start over. They understand each other. The stranger says, "When there is nothing left to do and there is nowhere else to go, the world begins again." Lena clarifies, "No one exists but us and God? Everything is still to come?" And the answer is affirmative. The village begins a new world, alone. They regroup, rearrange themselves. Some choose new partners, some choose new families. and life goes on, but in a way they define as they go, The stranger takes steps to ensure the cutoff from the outside world is complete. Life continues in a new way for days, months, years. Until at some point the external world intrudes, and they know that this intrusion will not be the last. And Lena flees the village, hoping to find her young husband, taken by the intruders, and save her young children from the threats in the world outside. The writing is lyrical, with a feel of magic realism to it. The situation is both one we know and one we don't know. The future is uncertain. This is a book I read slowly, savouring the writing, uncertain that I wanted to know what was coming. Highly recommended. It sound interesting and I look forward to some fascinating reading. The idea is to choose 12 books that have been on your shelves a long time (along with 2 alternates in case the going gets really tough) and read them this year. It should be fun and interesting! I always enjoy this challenge. 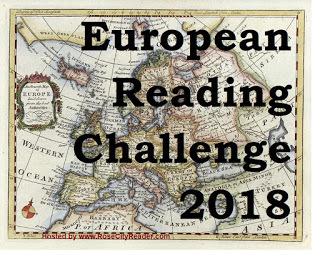 This reading challenge came into my radar recently and looks interesting. I'm intrigued and will naturally do the advanced 10 as well as the main 40. There's lots of potential here, and since one of the prompts is to do a prompt from one of the previous 3 years, I may get into them a bit too. Naturally, I will be keeping track on my reading challenge page.